Solvents play a key role in pharma and biotech industries starting from the manufacturing process. It mainly provides a reaction medium. It is used for extraction and purification pur-poses. Further, solvents play its role as helpers in the formulation of many health care products such as penicillin, aspirin, cough syrup, and topical ointments. 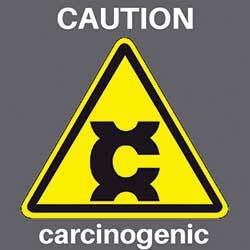 Class 1: Human carcinogen and environmental hazard. Most harmful. Class 2: Non-genotoxic animal carcinogen. These are less harmful than class 1. Class 3: Low toxic potential to human and no health-based exposure limit is needed. The Class 1 solvents include: benzene, carbon tetrachloride, dichloroethane and are mostly avoided unless their requirement is strongly justified. Class 2 solvents include: acetonitrile, chlorobenzene, chloroform, ethylene glycol, toluene, methanol, etc and their usage must be limited by means of concentration prescribed by the Q3C guidelines. Class 3 solvents include: acetone, butanol, ethanol, formic acid, etc. It includes no solvent known as a human health hazard at levels normally accepted in pharmaceuticals. In extraction, liquid-liquid separation and other applications several alcohols, ketones, halogen-ated solvents, amide, ethers, nitriles are used. 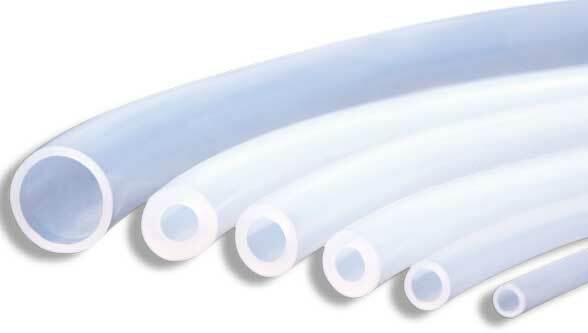 Depending upon the conditions (temperature, pressure, and humidity) required for the transfer the solution at a certain rate: tubing and hos-es are used. 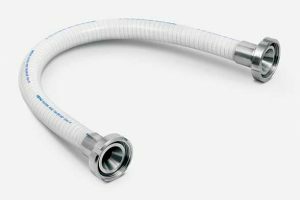 These tubing and hoses made up of different resistance materials (metals, plastics and elastomers). With change of concentration, presence of other chemicals and cost factors each of the materials compete the other. These materials includes silicone rubber, neoprene, EPDM, NBR, hypalon, fluoropolymer based and thermoplastic based. Encountering cost factors and the concentration of the corrosive chemicals above materials are chosen. The non-polar, chemically inert, high service temperature, hydrophobic nature of a fluoropoly-mer surface provides non-interactive, essentially “force field”-like containment for pharmaceutical and biotechnological process fluid streams. These attributes promise reduced production cost and lower downtime for regulatory compliance procedures, synthesis and process design. With the intent of transferring fluid safely within the time limits, it is quite essential to choose the right material. 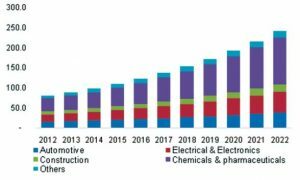 This must go hand on hand with the generic industrial sequence of safety first, quality next and then looking at increase in productivity.